Laura Bush is the wife of 43rd U.S. President George W. Bush. 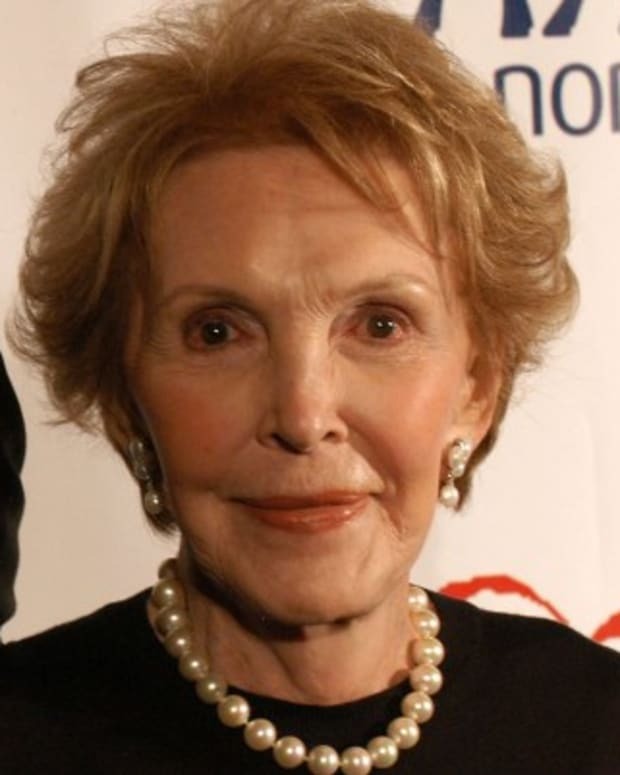 She served as first lady from 2001 to 2009. 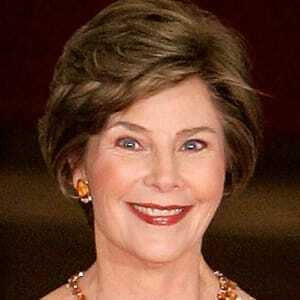 Laura Bush was born on November 4, 1946, in Midland, Texas. Following her marriage to George W. Bush in 1977, Laura devoted her time to volunteer work and homemaking. 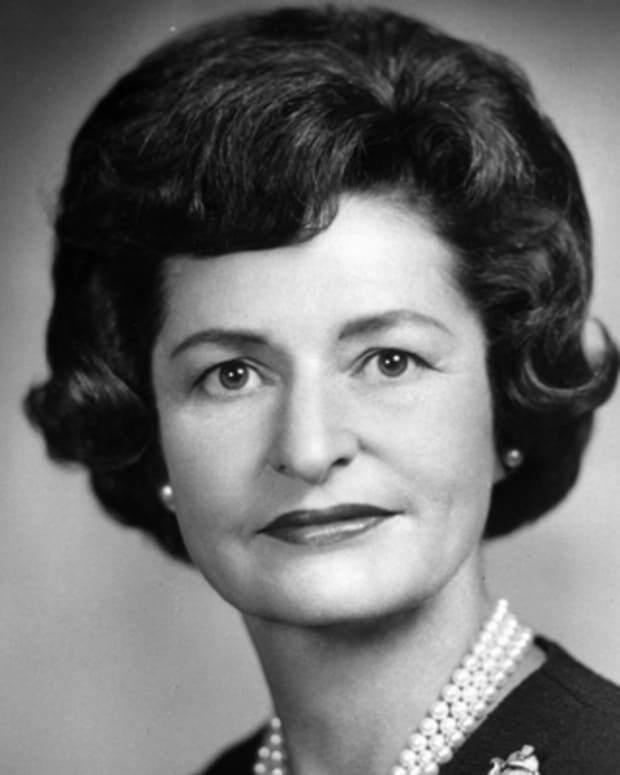 After George was elected governor of Texas in 1994, Laura raised her profile, working to improve literacy. As first lady, she spoke on the radio in support of the Afghan people, and testified before the Senate Committee on Education. Laura Bush was born Laura Lane Welch in Midland, Texas, on November 4, 1946. 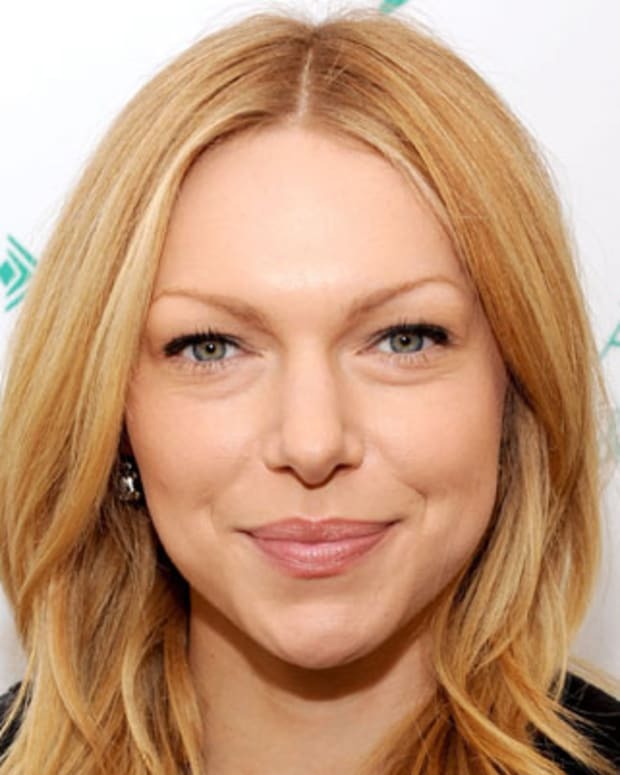 She is the only child of Harold Welch, a home builder and successful real estate developer, and Jenna Louise Hawkins Welch, who worked as a bookkeeper in her husband&apos;s business. As a child, Laura was shy and eager to please her parents. Early on, they encouraged her to pursue her love of reading, which became a life-long passion. Laura&apos;s life before college was typical of many young women, going to public schools and being with friends. However, on the night of November 6, 1963, she experienced something most teenagers don&apos;t: Around 8 p.m. that evening, she was driving a friend to a party on a desolate rural road when she ran a stop sign and hit another automobile broadside, killing its driver. The driver was a friend and fellow classmate, Michael Dutton Douglas, a star athlete and popular student at Robert E. Lee High School. Laura and her passenger suffered only minor injuries. Though she was not charged in the accident, the guilt has remained with her all of her life. After graduation from high school, Laura attended Southern Methodist University in Dallas, Texas, earning a bachelor&apos;s degree in early education in 1968. 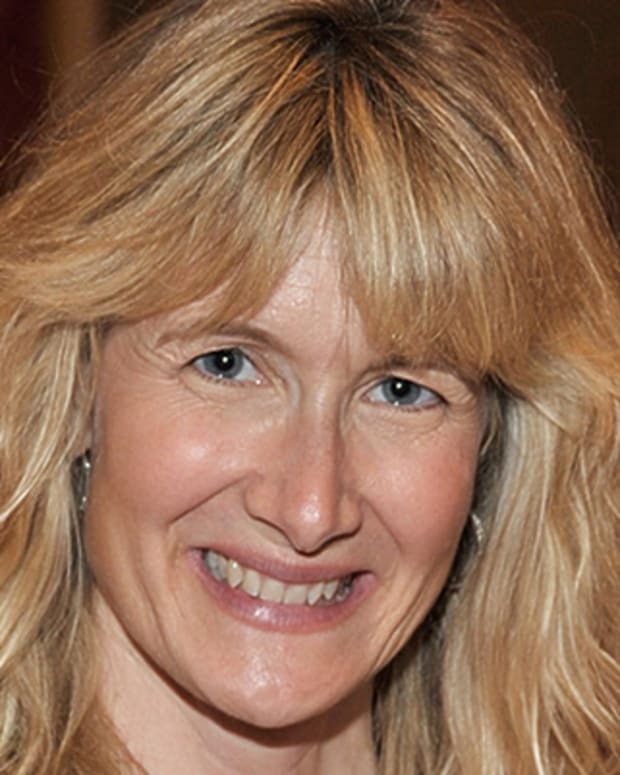 She taught second grade for a few years before receiving her master&apos;s degree in library science at the University of Texas in Austin, Texas, where she became a public school librarian. 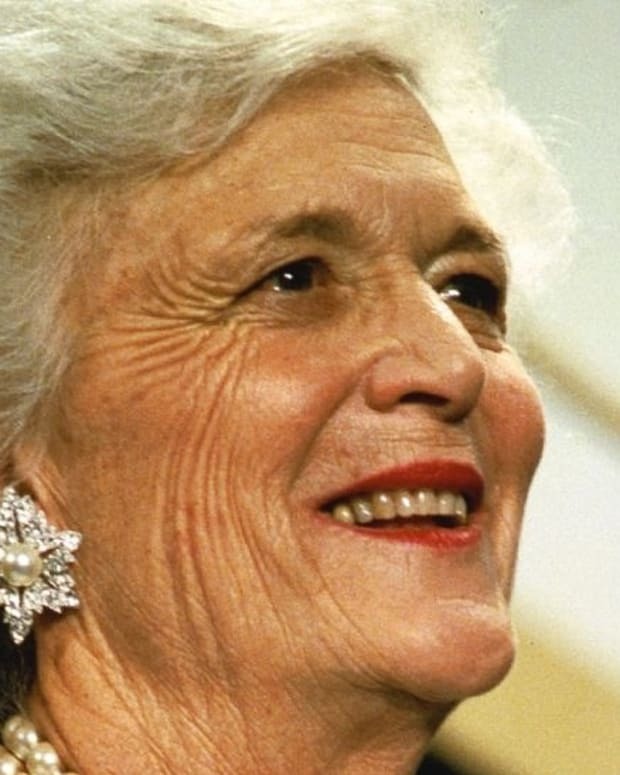 In 1977, on a visit back to Midland, she met George Walker Bush at a barbeque that was hosted by mutual friends. 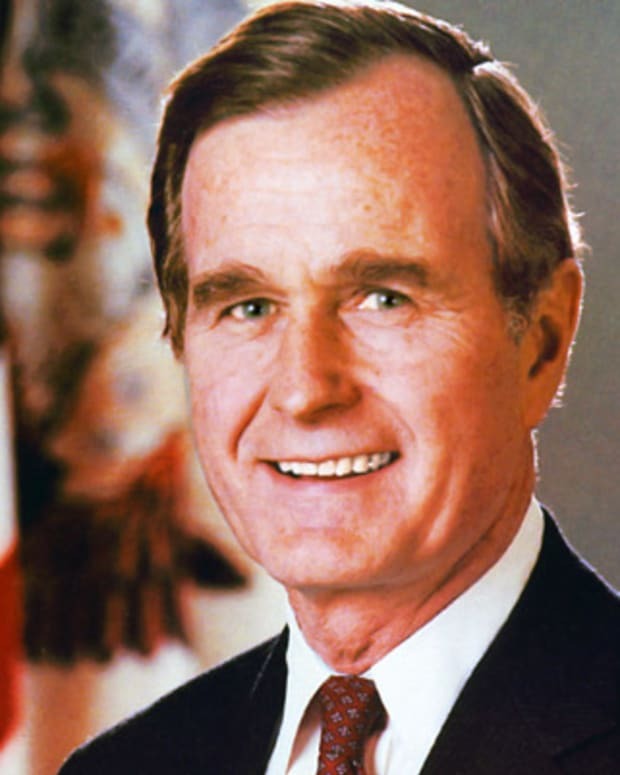 George W. Bush was the owner of a fledgling oil business and the son of George H.W. Bush, a career politician and former Director of the CIA. There was an immediate attraction, and within three months of their introduction, Bush proposed to Laura. He was considering running for a congressional seat at the time, and she accepted on the condition that she never be asked to deliver a political speech. However, she soon relented, and publically supported her husband&apos;s unsuccessful bid for office. After his defeat, Bush returned to his oil business and Laura became a housewife, but soon returned to politics to help her father-in-law&apos;s presidential campaign in 1980. In 1981, Laura gave birth to twin girls, Jenna and Barbara, named after their grandmothers. Over the ensuing years, Laura began to quietly but steadfastly build a family. She encouraged her husband to attend church and quit drinking, and became a major positive influence in his life. In 1995, George W. Bush was once again inspired to enter politics in a run for the Texas governorship. This time he won, and Laura Bush was thrust into the public arena of being the state&apos;s first lady. Still a reluctant speaker, Laura developed more confidence and began to take advantage of her elevated position to support causes and projects important to her. She successfully lobbied for the state funding of early reading, literacy and early childhood development programs. She also supported breast cancer awareness, and raised nearly $1 million for public libraries. 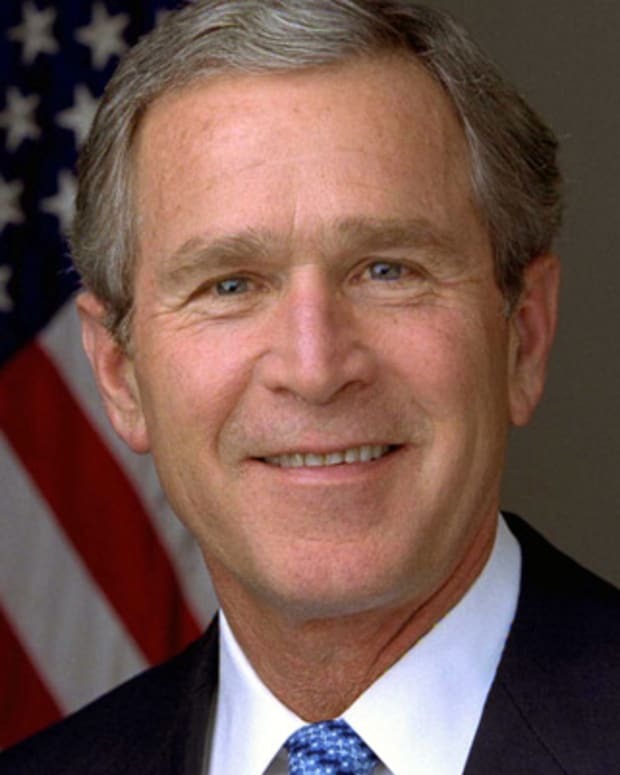 In early 2000, George W. Bush began his campaign for the U.S. presidency. Laura Bush enthusiastically supported her husband, appearing at rallies and avoiding controversy during the campaign. She made her first major national speech at the 2000 Republican National Convention in Philadelphia. Bush went on to win the closest presidential race in U.S. history against his Democratic opponent, Al Gore. Although Laura planned to keep a low profile as first lady, national events made that nearly impossible. The September 11, 2001 terrorist attacks riveted attention on the Bush administration, and Laura joined her husband in comforting the nation. In the aftermath of the attacks, she addressed parents&apos; anxiety and fear over how the event affected their children. She frequently spoke about ways parents could comfort their families traumatized by the event. During her first term as first lady, Laura Bush continued to lend support to education, childhood development and teacher training. In January 2002, she testified before the Senate Committee on Education, calling for higher teachers&apos; salaries and better training for Head Start programs. She created a national initiative called "Ready to Read * Ready to Learn" to promote reading at an early age. Additionally, she lobbied to continue work on saving America&apos;s national treasures, and supported the "Preserve America" campaign. During the 2004 campaign, Laura dramatically elevated her public role as first lady by delivering a major policy speech at the Republican National Convention, and later, during the campaign, by speaking about major policy accomplishments and goals of the Bush administration. After her husband&apos;s win, Laura increased her activities by leading initiatives in health, literacy and gender equality. 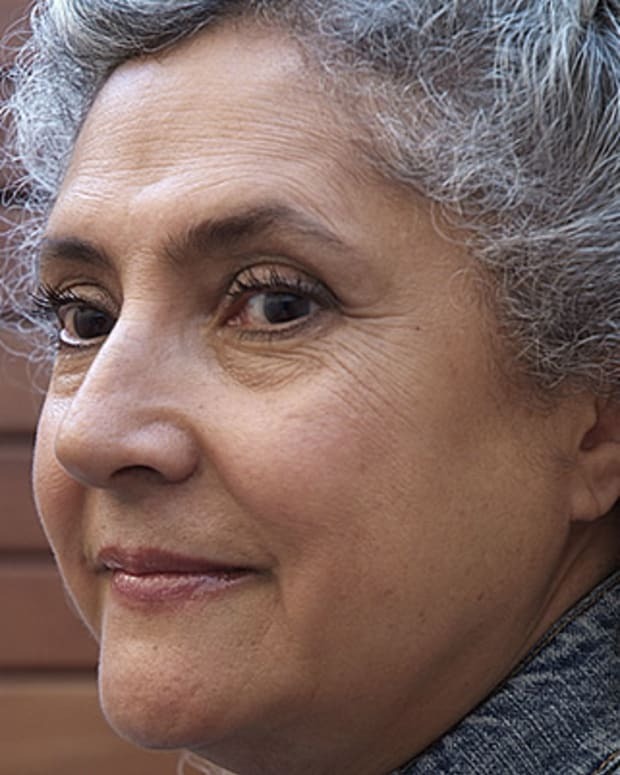 She traveled to Afghanistan to promote a new teacher-training institute for Afghan women. In 2005, she spoke at the World Economic Forum, emphasizing the link between education and fostering democracy. Throughout the final years of George W. Bush&apos;s second term, Laura continued to support women&apos;s health. In 2007, the Laura W. Bush Institute for Women&apos;s Health was founded at Texas Tech University. Traveling around the county, Laura spoke at events on the importance of early detection of heart disease. In October 2007, she traveled to the Middle East in an attempt to improve America&apos;s image by highlighting concern for women&apos;s health and promoting breast cancer awareness. After the 2008 election, Laura Bush and her husband moved to Dallas, Texas, to work on the George W. Bush Presidential Library. She also penned her memoir, Spoken from the Heart, and co-wrote a children&apos;s book with her daughter, Jenna Bush, entitled Read All About It! Since leaving the White House, Laura Bush has continued working for the causes she believes in, including breast cancer awareness and other women&apos;s health issues, and education. In June 2018, the former first lady spoke out against a new policy, implemented by Attorney General Jeff Sessions, in which some children were separated from their parents after illegally entering the country at the Mexican border. Bush addressed the problematic policy in an op-ed for The Washington Post, writing, "This zero-tolerance policy is cruel. It is immoral. And it breaks my heart. ... Our government should not be in the business of warehousing children in converted box stores or making plans to place them in tent cities in the desert." 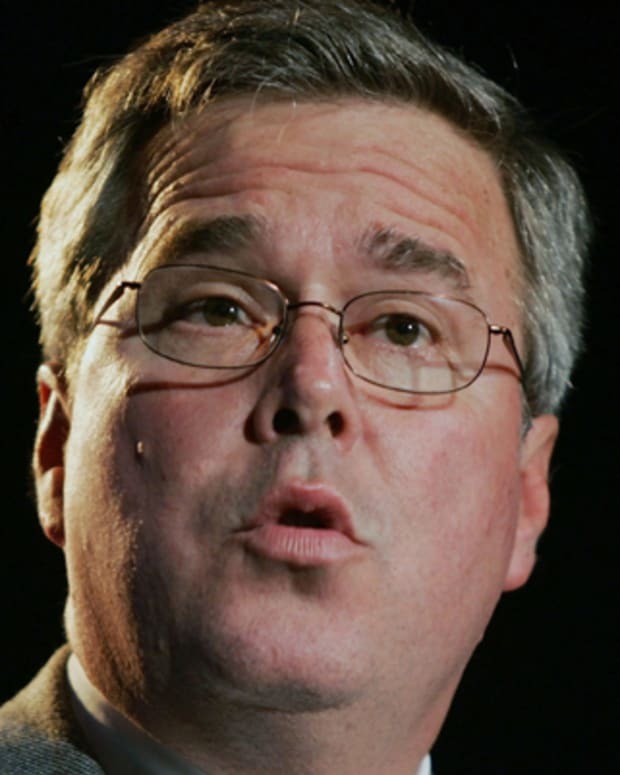 Jeb Bush served as Florida's governor from 1998 to 2007. He is the son of 41st U.S. President George Bush and brother of 43rd U.S. President George W. Bush.